Have you ever been late up and watched the sky above you ? Did you ever wondered whats all about There ? Well with my little telescope I’ve (picture below) been many times awake during several nights, even with temperatures like this (-15 degrees below zero). Yes, perhaps I am a dreamer, but it does not harm anyone. So a few days ago I spotted Orion in all its beauty….You guessed it already, my favorite constellation is Orion, with the mighty Betelgeuze. The giant red star Betelguese – the red star in the shoulder of the constellation Orion – is 700 million km across, about 800 times larger than the Sun. Light takes 1 hour to travel from one side of the giant star to the other. The name of this star means “The Armpit of the Central One” in Arabic, which shows that like many other constellations, Orion was recognized across many cultures. Ever wondered how to pronounce it? This is how: Be7tel7geuse (btl-jz, btl-jz). Betelgeuse is the 12th brightest star in the sky. It is called Alpha Orionis even though it is fainter than Beta Orionis (Rigel). This is because Betelgeuse, a variable star, was misclassified. @ Betelguex; Betelgeuze; Beteiguex; Al Mankib. So, you have problably heard of the Southern Cross, but this constellation is not to be seen at this side of the northern hemisphere. Its a pitty. Two years ago, my daughther and I where in the Namibian desert called “Sosusvlei” where we had the privilege to adore the milkyway in al its enourmus beauty , and within it the constellation very faint the Southern Cros. The Southern Cross constellation is eagerly sought by travellers from the North, visiting the Southern Hemisphere. The cross has four main stars marking the tips (alpha, beta, gamma and delta). These four stars are also on the New Zealand flag. A smaller star (epsilon), separate from the cross, is included on the Australian flag. Two bright stars, alpha and beta Centauri, are pointers to the head of the cross. Do not be confused by three crosses in the Southern sky. Only the smallest and brightest, with two pointers aimed at the head of the cross, is the true cross. The brightest star (alpha Crucis) is at the foot of the true cross. The pointers lie to the east. The diamond cross has no pointers and is fainter than the other two. The head of the diamond cross is just below (north of) a very bright part of the milky way, which includes numerous star clusters and the amazing eta carina nebula. Many clusters and the nebula are visible in binoculars. The head of the diamond cross (theta carina) is actually in a star cluster, which makes the head look fuzzy to the naked eye. In binoculars you can see many of the cluster stars around theta carina. So its a very stange constellation. Hey, do you know where you’re going? She’s a temple that won’t let you in. At her side you’re alone. So, you have problably heard of the Southern Cross, but this constellation is not to be seen at this side of the northern hemisphere. Its a pitty. Two years ago, my daughther and I where in the Namibian desert called “Sosusvlei” where we had the privilege to adore the milkyway in al its enourmus beauty , and within it the constellation very faint the Southern Cros. The Southern Cross constellation is eagerly sought by travellers from the North, visiting the Southern Hemisphere. The cross has four main stars marking the tips (alpha, beta, gamma and delta). These four stars are also on the New Zealand flag. A smaller star (epsilon), separate from the cross, is included on the Australian flag. Two bright stars, alpha and beta Centauri, are pointers to the head of the cross. Do not be confused by three crosses in the Southern sky. Only the smallest and brightest, with two pointers aimed at the head of the cross, is the true cross. The brightest star (alpha Crucis) is at the foot of the true cross. The pointers lie to the east. The diamond cross has no pointers and is fainter than the other two. The head of the diamond cross is just below (north of) a very bright part of the milky way, which includes numerous star clusters and the amazing eta carina nebula. Many clusters and the nebula are visible in binoculars. The head of the diamond cross (theta carina) is actually in a star cluster, which makes the head look fuzzy to the naked eye. In binoculars you can see many of the cluster stars around theta carina. So its a very stange constellation. This is one of the first constellations learnt by children in Australia. If you can find the Southern Cross in the night sky then you know your are looking towards the south. The vertical axis of this constellation points towards the South Celestial Pole. It is usually way up there with Orion and Scorpio in terms of the constellations initially picked up by kids in the Southern Hemisphere. This is of course before the advent of the Simpsons, Playstations and the Internet. ‘Crux’, being Latin for ‘cross’, commonly known as the ‘Southern Cross’ (in contrast to the Cygnus (constellation) Northern Cross), is the smallest of the 88 modern constellations, but nevertheless one of the most distinctive. It is surrounded on three sides by the constellation Centaurus while to the south lies the ‘Fly’ (Musca). Crux was originally thought of by ancient Greeks as part of Centaurus, but was defined as a separate asterism in the 16th Century after Amerigo Vespucci’s expedition to South America in 1501. Vespucci mapped the two stars, Alpha Centauri and Beta Centauri as well as the stars of the Crux. Although these stars were known to the ancient Greeks, gradual precession had lowered them below the European skyline so that they were forgotten. You’ve made me curious for learning something more about (constellation of) stars :unsure12:. For example in a far away desert, on a high mountain, on a huge saltlake. Name the place, pick a date and I’ll be there. jeetje, wat een leuke comment, wies da? PS Do I have to have to bring something special with me for our appointment ? For example study-books, telescope, glasses, wine, wodka?? one of the few pleasures of being alive is looking at the night sky adorned with millions of twinkling stars. sit on the lush green grass or on a bench in the park, light a cigarette and stare wistfully above. how inviting those stars are! i am not that scientifically inquisitve as you are but i never get tired of the sight of those stars. inexplicable beauty. pure heaven. 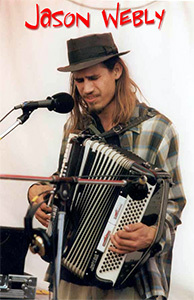 thanks for the jason webly song. cheers.